B 17F 42-30164 crashed Kiel Bay 13/6-1943. The aircraft belonged to USAAF, 8 Air Force, 95 Bomb Group, 334 Bomb Squadron and was coded BG-E. 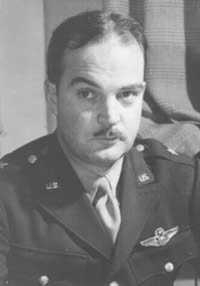 The plane was the lead plane on this mission carrying Brigadier General Nathan Bedford Forrest III who was slated to take over the 4th Wing of the 8th Air Force. After having dropped its bombs the B 17F was attacked head on by a FW 190 and crashed into Kiel Bay. Pilot Captain Harry A. Stirwalt today rest in the Ardennes American cemetery in Neuville-en-Condron in Belgium. Navigator 1st Lt Walter Thimm was found on 17/7 near Gedser and was laid to rest in Svinø cemetery on 20/7-1943. On 8/5-1948 his body was disinterred and taken to the US Millitary Cemetery Neuville-en-Condron in Belgium. He was later moved to USA where he rest today. 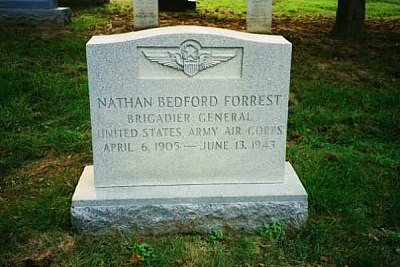 The dead body of Brigadier General Nathan Bedford Forrest was found near the seaplane base at Bug on Rügen and was laid to rest in Wiek cemetery on 28/9-1943. In 1947 his body was moved to Arlington cemetery, USA. Group navigator 1st Lt V.J.Gannon and 95 Group navigator 1st Lt Willard W. Brown both survived to become POW`s. The dead body of Pilot 1st Lt Donald V. Scavotto who on this occasion served as Tail gunner was found washed ashore on Sønder Bredfjed near Rødbyhavn on 17/6 and was laid to rest in Svinø cemetery on 20/8-1943. On 8/5-1948 his body was disinterred and taken to the US Millitary Cemetery Neuville-en-Condron in Belgium. In 1949 he was laid to rest in Seattle USA. Waist gunner Sgt Odes Boyd today rest in the Ardennes American cemetery in Neuville-en-Condron in Belgium while radio operator Sgt Robert F. Forrest rest in USA. Sqn. Commander Major Alan W. Wilder serving as Co pilot, 1st Lt Roberts McNutt Jr, Top turret gunner Sgt Walter P. Drotleff, Ball turret gunner Sgt Charles J. Benson and Waist gunner Angelo Triches Jr. have no known grave. Sources: FB, AS 19-185, BS, UA, ABMC.